Stand-Up Tuesdays is a weekly comedy spotlight written by the wonderfully talented Angie Frissore. Covering both known and unknown comics, Stand-up Tuesdays is your new source for all things funny. This week, Angie puts a spotlight on Bill Burr’s comedy career. If you or your comedy troupe would like to be featured on Stand-Up Tuesdays, please email utgjames@gmail.com. 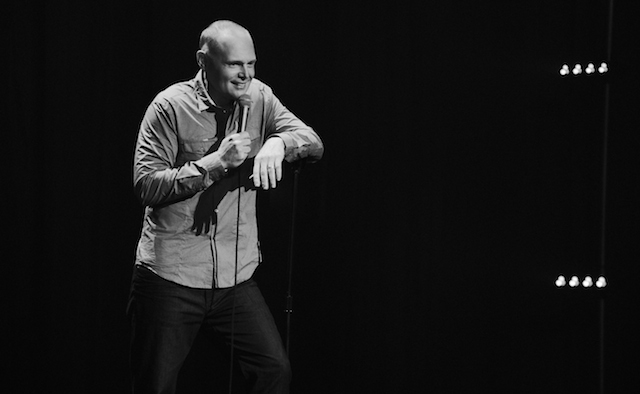 Since the Netflix release of comedian Bill Burr’s new special, I’m Sorry You Feel That Way, I’ve heard two things: Bill Burr nailed the best special of the year, and many comics are now feeling like they should give up (for fear of never reaching such a level). While I certainly won’t sit back and agree that it might be time for some to quit comedy, I can whole-heartedly attest to Burr having put out the most impeccably perfect comedy special of 2014. I’m Sorry You Feel That Way offers the classic acerbic observational humor fans expect from Bill Burr and makes absolutely no apologies for it, as Burr weighs the difference between Catholicism and Scientology and expresses his personal desire to own a gun (a dream he isn’t letting go of anytime soon). Burr is more than on-target and offers a performance that undoubtedly surpasses the legendary comedian’s previous works. There, I said it. I’m Sorry You Feel That Way, at least to me, is hands-down the most comprehensively awesome performance I’ve seen of the comedian, who is still enjoying the success of his vinyl-only release, Live at Andrew’s House, which was released in September. Though it took me awhile to put my dirty little paws on a copy of the record, I was able to compare the two – at least in terms of material. Surprisingly, but at the same time not surprising at all, Burr was able to put together two very unique sets that have absolutely no crossover or repeated material – so if you were able to get the vinyl, the uniqueness of the performance makes it an extra-special part of your comedy collection. Filmed entirely in black and white, I’m Sorry You Feel That Way is an effortless performance for Burr. One can easily get carried away with the comedian as he lashes out in a way that you’d expect him to if you were seated at a bar with him. Burr stays true to himself and true to form, which isn’t always easy to do when your set includes an opinion that yes, there are reasons to hit a woman (you just should never actually do it). This is what I love most about Burr – he’s never been one to conform to popular opinion, and will certainly not jump to social media and apologize for offending anyone. As the special’s title states, all Burr can do is offer that he’s sorry you feel that way. But he’s not sorry for feeling that way, and he shouldn’t be. Bill Burr’s I’m Sorry You Feel That Way will leave you laughing so hard that you actually run the risk of wetting yourself – even on the sixth consecutive viewing. And while it is an amazing special, I don’t think newer comics should get so down on themselves for not being on Burr’s level – instead, Burr has given them a goal to work towards by setting the bar even higher. The special is available on Netflix, and is a perfect example of why the comic was named “Stand-Up Comedian of the Year” by the Montreal Just For Laughs festival this past summer. Check it out today if you haven’t already! « Circa Survive, La Dispute, and More Announced For South By So What? !